2017 release. Blue Again comes hot on the heels of Magness’ 2016 Grammy nominated album Love Wins Again. Anyone who has ever heard Magness sing – live or on any of the multiple releases she has put out since coming on the scene in 1992 – can immediately divine that this is a strong, resilient, commanding woman in masterful control of her voice and her destiny. In the space between the notes you can hear a performer who has survived a difficult life by anyone’s measure to become one of the top blues vocalists of her generation, only the second woman, after blues legend Koko Taylor, to win the coveted B.B. King Entertainer of the Year award. 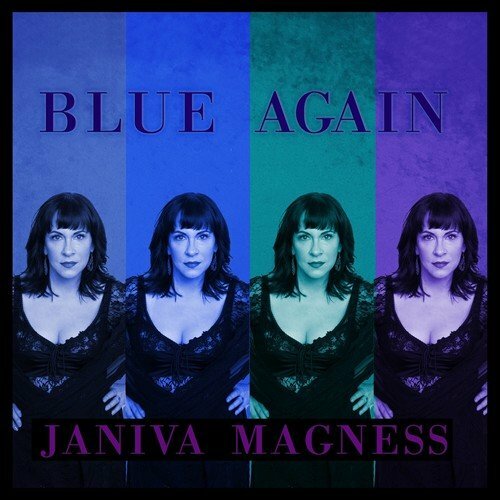 Blue Again collects Magness’ interpretations of a half dozen classics from the blues canon and beyond, including numbers made famous by Bo Diddley, Freddie King, Etta James, and Nina Simone.